The readings, assignments, and projects below constitute the Week 05 Deliverables and are due by 11:59pm EDT on Thursday, October 1st. There are five parts: a Looking Outwards, 3 Autolab Assignments, and 1 Project. In addition, please read Chapter 11 (Arrays) in GSWp5.js. Our Looking Outwards topic for this week is computational information visualization. We ask you to select a project in which an artist, designer or other researcher has created custom software in order to collect and/or visualize a dataset. Label your blog post with the Category, LookingOutwards-05. 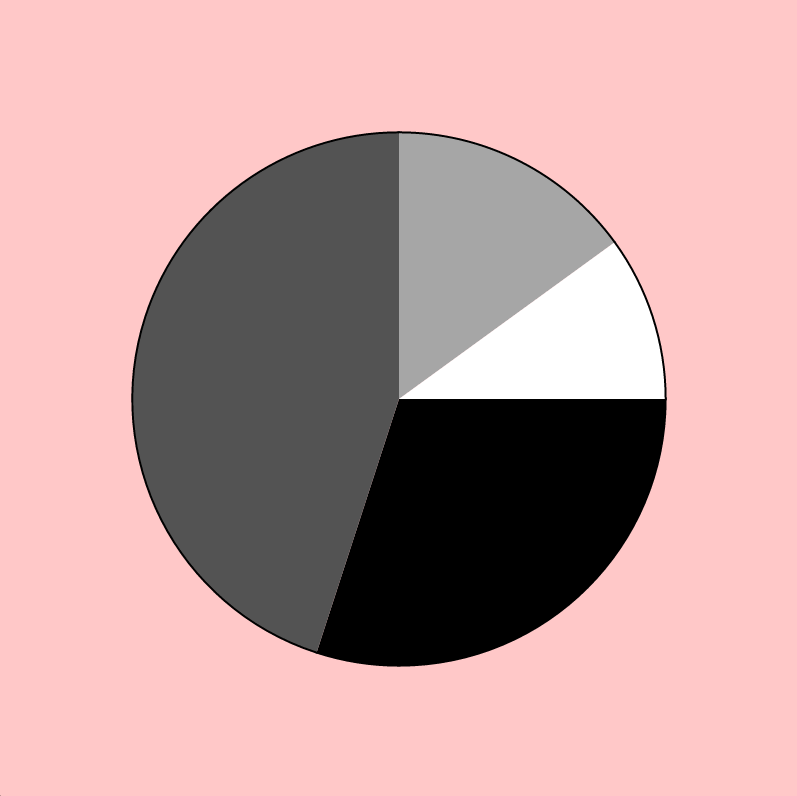 Assignment 05-A: Pie Chart 1. Please use our new lightweight sketch template (template-p5only.zip). Name your project UserID-05-a. For example, if your Andrew ID is placebo, then your project name should be placebo-05-a. Assignment 05-B: Pie Chart 2. Name your project UserID-05-b. For example, if your Andrew ID is placebo, then your project name should be placebo-05-b. This Assignment is to be submitted through Autolab. Its purpose is to practice your skills with arrays, iteration, and introductory information visualization. Write a p5.js program that uses a for() loop and array-access techniques to plot these numbers as a bar chart. An example of how this bar chart might appear is below. Name your project UserID-05-c. For example, if your Andrew ID is placebo, then your project name should be placebo-05-c.
For a small BONUS, add some additional code which searches through the array for the tallest president. Render the tallest president’s bar with a differently-colored fill. Mathematical curves allow for unique, expressive and surprising ways of generating and controlling graphics. This open-ended Project invites you to you experiment and play with the aesthetics of curves. Browse the Mathworld curves site. Select a curve from the site. In a canvas no larger than 800 x 800 pixels, develop an interactive composition using this curve. Feel free to use any graphical primitives, colors, and visual strategies you wish. You can layer the curve with other elements if you wish. Play. or curves which take the parametric form y = f(t), x = g(t). or curves with the polar form r = f(theta). 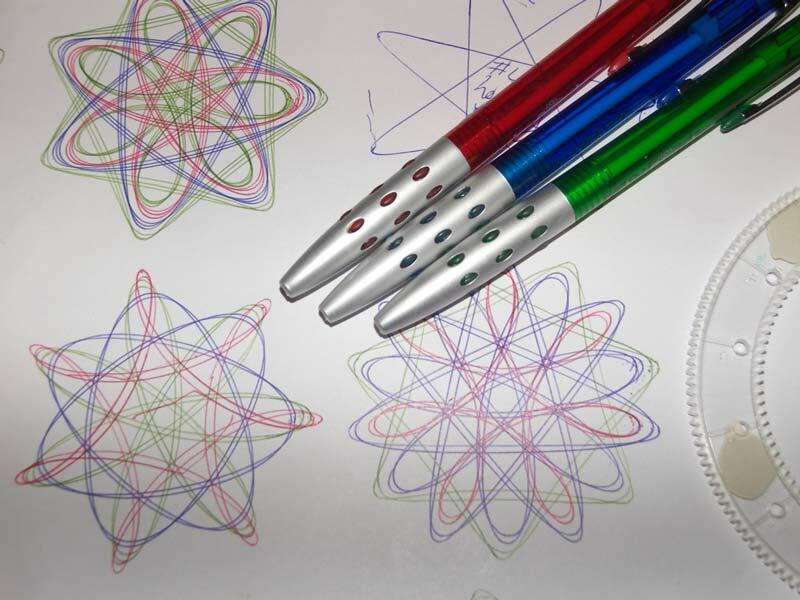 For some easy starters, check out the Spirograph-like roulette curves. View the examples below for some sample code that deals with polar and parametric curves. Create a simple interaction in which the mouseX and mouseY are used to continuously govern at least one (and preferably at least two) parameters of the curve. For this purpose (see the example bel0w) we highly recommend you use the p5.js map() and constrain() functions. Document your work by embedding a screenshot or two of your project in different states. Label your project’s blog post with the Category Project-05-Curves. Your code should adhere to our style guidelines. Please note that there are an infinity of different ways that you can render your curve(s)! For example, below are five different ways of rendering a circle. Also, please note that many curves on MathWorld are “open” (such as spirals and parabolas), and can’t be “closed” (like a circle); those curves are totally great and just fine too!